Prue Leith is a familiar face to the people of Great Britain, especially lovers of cake, and now she has opened a new state-of-the-art cookery school at Truro School. 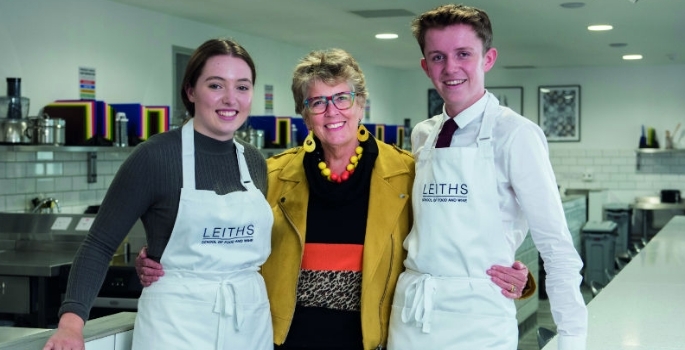 In addition to enabling practical cookery to be taught throughout the school, the facility gives sixth form students the opportunity to complete the prestigious Leiths Introductory Certificate of Food and Wine. During a Q&A with the pupils, Prue revealed that catering college had never taught her anything about the love for, or history of, food and she wanted to ensure her students were taught how interesting food can be at every level. Something borrowed, something blue, something educational?